The price of the Sage suite is $135.00 and the price of the Lily suite is $155.00 and addition persons for the Birch Suite is $75.00. 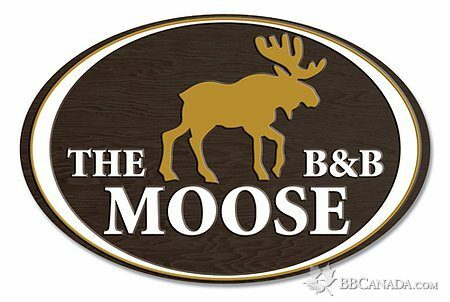 The Moose B & B is a boutique bed and breakfast located in scenic Dorset Ontario. 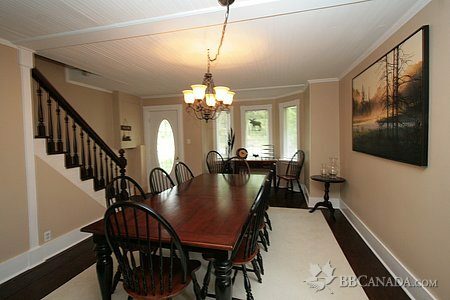 This water front property is on beautiful Lake of Bays, in Muskoka, Canada. 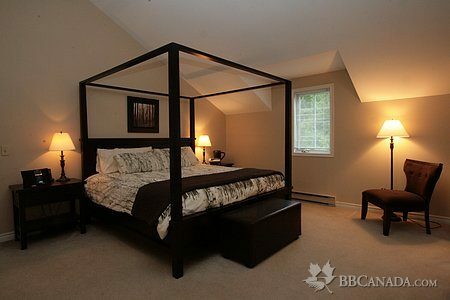 3 rooms, all with ensuite bathrooms. 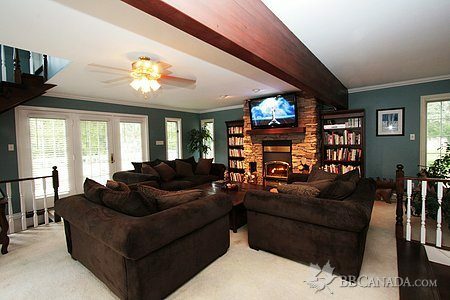 We cater to winter and summer sport enthusiasts. Open year round. Summer guests can soak in the sun on the dock, enjoy the sandy beach, go canoeing or paddle boating. Evening bonfires and star gazing. 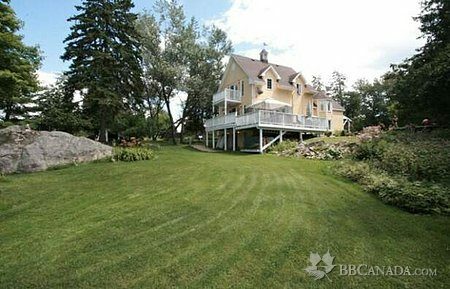 Close to renowned Algonquin Provincial Park. Gourmet breakfasts from trained Chef Melody in both the indoor and outdoor dining areas. Guests can enjoy the screened in gazebo, hot tub, and wrap-around sun decks amidst our beautifully manicured gardens. Use of guest outdoor kitchen with BBQ. Cancellation : All bookings must be secured with a 50% deposit. 100% refund for cancellations within 7 days notice.